The best way to get an early start on your holiday is a relaxing stay in a hotel the night before you fly. Our 3-star hotel at Prestwick airport is the perfect place to get some rest before the excitement of your holiday. Each stay not only gives you a comfortable nights rest but also includes parking and the choice between a continental or full Scottish breakfast. Whether its the extra sleep the morning you fly or the stress free atmosphere, a night in one of our Prestwick airport hotels is a great way to start your holiday. What hotels do you offer at Prestwick airport? 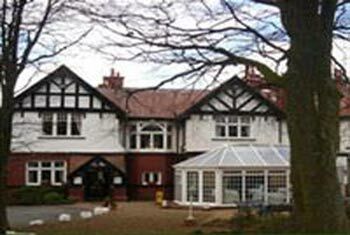 At Preswick airport we offer the charming 3-star Manor Park Hotel. Set in beautiful woodlands, this hotel couples the ease of quick airport transfer with picturesque surroundings. Youll be utterly at peace reclined in front of the fire in the hotel's cosy lounge area. If youre looking to satisfy your appetite then youll be delighted to find the wonderful Maizie's bistro, which serves a selection of traditional Scottish food and international cuisine. Why is it a good idea to book my hotel in advance? When you pre-book you get a better deal. Its that simple. Not only are you guaranteed a room, but youll also be offered the largest savings and the lowest prices. If you book ahead you could save up to 40 per cent on the standard price. So, when you book your holiday be sure to visit our website or give us a call at our award-winning contact centre, so that you can make the most of our unbeatable prices. When you make a booking with us well offer you the option of including the FairFX pre-paid currency card. This is really useful on holiday. It works just like a debit card; its free and is supplied by Mastercard so you know its safe and secure. To use it you simply top it up with money and spend it abroad worry free.